SOMEWHERE, in a far away galaxy, a delicious feast is about to happen. Many stars and planets gather to eat galactic barbecue and have fun together. And this is your time to shine! 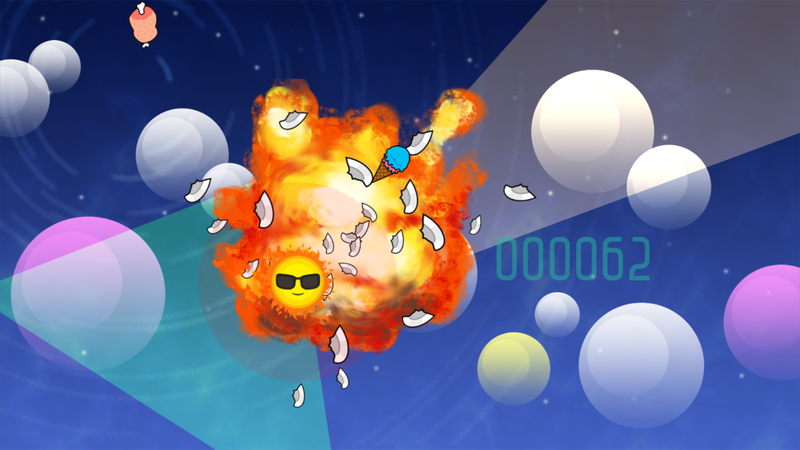 You, the Sun, have been hired to take care of the galactic beef. Cook them well with your sunbeams, but don't burn them! Don't even think on heating the cosmic ice creams, either! Remember: let the ice cream cool, and the meat warm. Good? Good. But don't think you'll be alone! You'll have a helper saucer to catch the cooked food. 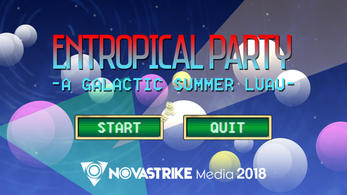 If you let the food slip by, or ram into the Sun, you'll ruin the galactic luau, stars will be sad, and being sad totally doesn't go well with a luau. There's plenty of space in the universe, so work together and ensure you'll greet the visitors with flavors that are out of this world! 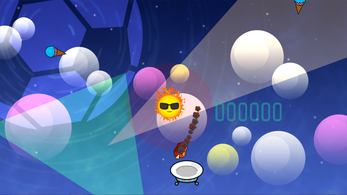 You can control the Sun with [WASD Keys] and the Saucer with [Arrow Keys]. Joysticks are also supported! Use [Joystick 1] for the Sun and [Joystick 2] for the Saucer. No spare joysticks? No sweat! Both players can share one joystick, too! Use the [left stick] to control the Sun and the [right stick] to control the Saucer. So many options! There's an issue with the custom builds (https://hugo.pro/projects/godot-builds/), so both are x64 builds.